One of my Japanese readers, Kanami works at Ain Soph. 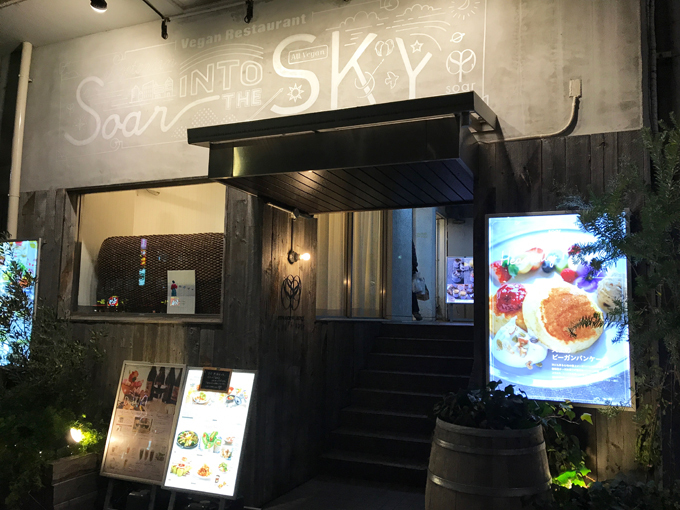 Soar, and wanted to take me to dinner there. Ain Soph. 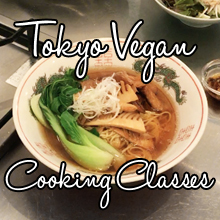 group has 4 locations in Tokyo, and each one has different themes and menus. This one, Ain Soph. Soar had a cafe theme. It was pretty spacious inside and there’s a fireplace with more seating in the back. Since Kanami works here, we ordered according to her recommendations. 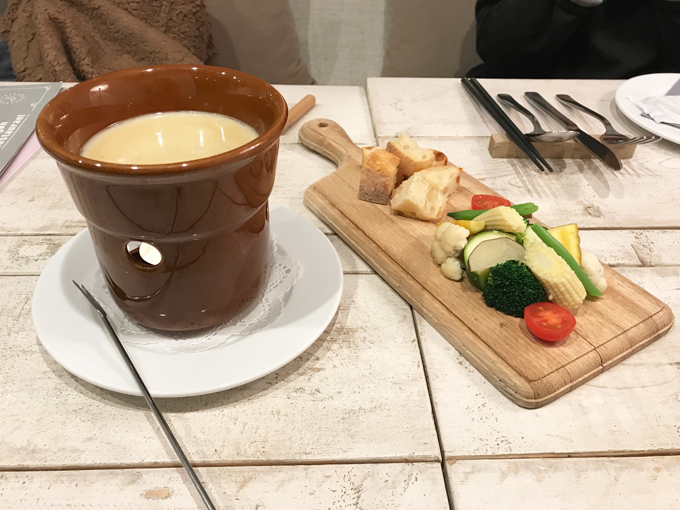 We started off with a cheese fondue. The creamy soy milk based cheese was yummy. 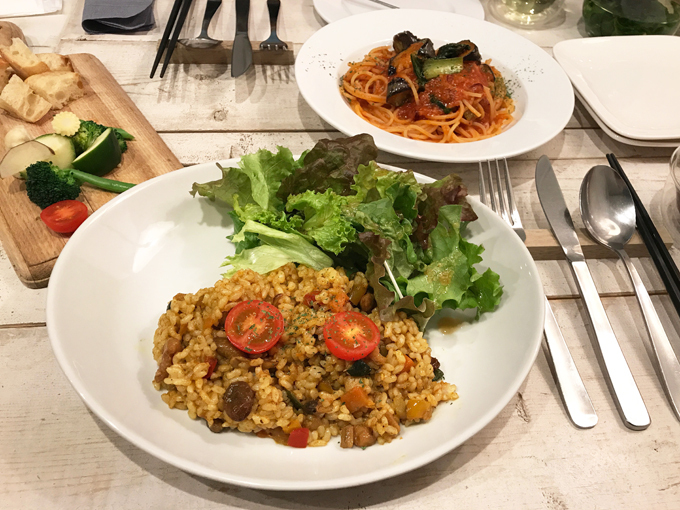 I ordered the curry pilaf and Kanami got the pasta arrabbiata. My curry pilaf had a spicy kick to it, which I loved, and the sweetness of the raisins balanced it out nicely. The pasta arrabbiata was delicious! Since I am a sucker for arrabiata, I would probably order that one myself, next time I visit. For dessert, I ordered the tiramisu and Kanami ordered the banana cream pie. Both delicious. Some creams in vegan desserts in Tokyo tasted too much like soy milk or tofu to me, and this place didn’t. Kanami, being so sweet, gave me flan and chocolate pudding to take home. I gave it to my parents but had a bite of each and they were both great! One of the best vegan flans I’ve had. 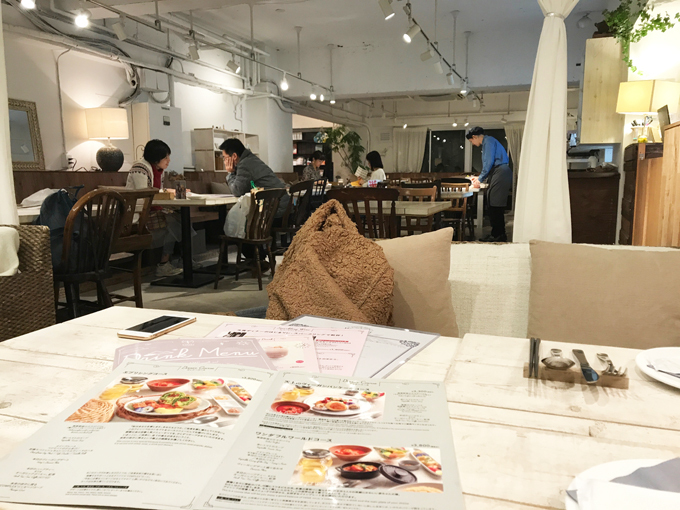 If you are ever in the Ikebukuro area, you have to try this place out. I can’t wait to try their other locations on my next visit!